In a world where few corners remain unexplored, it’s easy to become cynical about well-trodden paths. These days many articles suggest alternatives to iconic trips, like my recent post on the Ballestas Islands. However we must never forget that these experiences become popular because they are fantastic. We can’t all forge tracks on unadulterated ground, but we can still walk the Andes in the footsteps of the Incas. 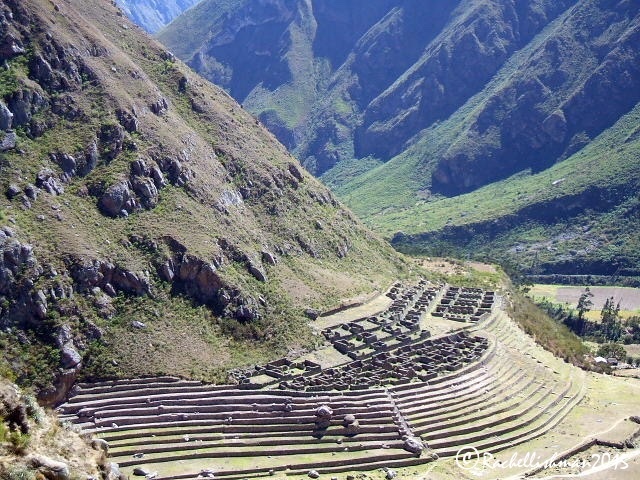 The Inca Trail in southern Peru is arguably the world’s most famous hiking trail. 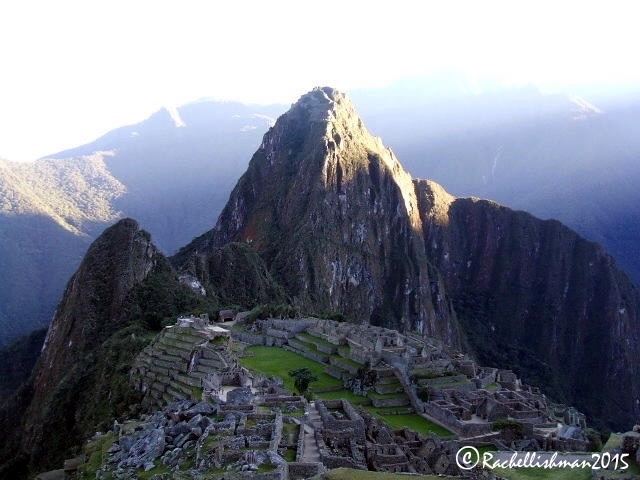 Every year, thousands of visitors embark on the walk that leads to the legendary Machu Picchu. The first traveller to walk these tracks was American explorer Hiram Bingham, who, in 1911 discovered this settlement that was afterwards referred to as ‘the Lost City of the Incas’. His discovery wasn’t of course; the first time someone had seen the site. In fact, throughout his travels in South America, local farmers who knew the mountainous areas well had guided Hiram. For them maybe, there was nothing lost to find. Nevertheless, after the Inca city at the trail’s end became public, interest increased and never subsided. Over the last century many wanderers have given into its allure. Though what little of us know until we’re on the stone steps themselves, is that Machu Picchu is just one of many settlements that nestle in the steep slopes of this Andean walkway. Today, a small passport office marks the beginning of the adventure at Kilometre 82. 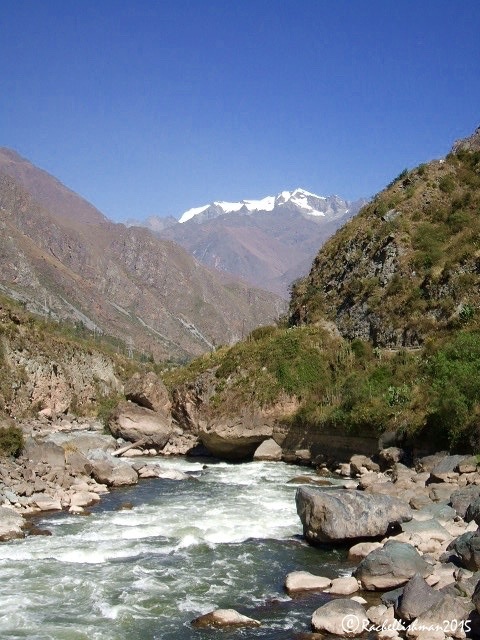 A powerful river cuts through a steep green valley and in the distance; enormous snow-capped peaks loom in a menacing challenge. The locals still hold the advantage in this unforgiving terrain. Able to walk at a blistering pace through high altitude and unpredictable conditions, porters carry tents and food on their backs. The loads, often taller than the men themselves, contain everything groups will need for four days in the mountains. The people who went before me were the last thing on my mind as I set off on a warm June day in 2007. It felt like my journey; my mountain to conquer. I marched upward, gradually finding my rhythm and taking in my stunning environment. The porters eased ahead; ready to set up both lunch and dinner by the time I arrived at camping points. Meals in the mountains were wonderful: Simple fare of rice and stews that steamed hot as the sun dropped below the peaks and cold, crisp nights fell around the tent. Bedtime routine consisted of layering up in alpaca woollens and writhing skilfully with a Johnson’s Baby wipe within the protection of my sleeping bag. In the early morning the temperature plummeted well below freezing and trips to the long drops were reserved for the brave, who were subsequently rewarded with a sky jammed-packed with stars. On day three, as I breathlessly reached the highest pass at 4,215m, ancient stone steps became more frequent and Inca terraces appeared around every corner. The excitement was palpable as I reached my final campsite – the only one with running water. Two dollars bought me a Twix bar and a tepid shower, although it hardly seemed important. The following day, just like Hiram all those years ago, I would get my first glimpse of the lost city. My final day began in darkness. The dull beam of my head torch showed the ground directly in front of my now battered boots and the legs of another walker. Despite it being 3am, my path was bustling as a steady stream of hikers trudged the final few miles in order to reach the viewpoint before dawn. When daylight finally broke, my view shocked me. For hours I’d been walking along a steep precipice: a mountainside that sloughed away unforgivingly less than a meter from my right foot. Beyond lay a landscape straight from the movies, where ragged stone summits protruding from untouched forest were encircled just slightly, with an eerie haze. When I reached the Sun Gate I realised that everyone had been right: The weak sunlight did just prick the peak of Huayna Picchu, the dawn mist did still cling to the surrounding hills as if my vision was from a dream; and yes, that first sight of Machu Picchu, I’m almost ashamed to say, did take my breath away.